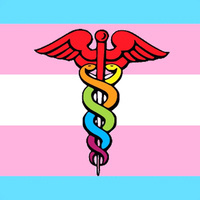 As the U.S. becomes increasingly diverse, clinical care providers are seeking to learn more about providing patient-centered and culturally responsive care, including to transgender individuals. This one-day Transgender Health and Wellness 2018 conference will educate physicians, medical providers (including medical students, residents, fellows, nurses, social workers, etc.) and the community how to offer welcoming and affirming healthcare to transgender individuals. Co-sponsored by: University of Rochester Office for Faculty Development and Diversity, University of Rochester Susan B. Anthony Center, Center for AIDS Research (CFAR), Clinical and Translational Science Institute (CTSI), Center for Community Health and Prevention, URMC Department of Pediatrics, URMC Department of Psychiatry, URMC Department of Surgery, Rochester Victory Alliance (RVA), Paul M. Schyve MD Center for Bioethics, University Health Services, UR Office of Faculty Development and Diversity, UR HR Office of Staff Diversity and Inclusion, and the UR School of Nursing. The University of Rochester School of Medicine and Dentistry is accredited by the Accreditation Council for Continuing Medical Education to provide continuing medical education for physicians. CERTIFICATION: The University of Rochester School of Medicine and Dentistry designates this live educational activity for a maximum of 5.75 AMA PRA Category 1 Credit(s)TM. Physicians should claim only the credit commensurate with the extent of their participation in the activity. University of Rochester Medical Center, Center for Experiential Learning is recognized by the New York State Education Department's State Board for Social Work as an approved provider of continuing education for licensed social workers #SW-0005. This activity is approved for 5.75 Social Work continuing education hour(s).